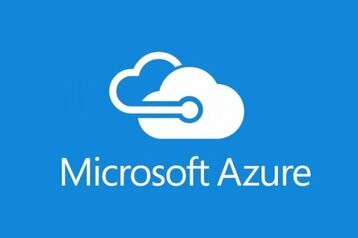 Microsoft plans to officially launch Azure Stack, its hybrid cloud operating platform, in mid-2017, the company revealed at its Worldwide Partner Conference (WPC) on July 12. According to Mark Jewett, senior director of product marketing for Microsoft’s cloud platform, the company is co-engineering Azure Stack to run on servers from HPE, Dell and Lenovo, with the aim of speeding its adoption in data centers. It was originally planned to allow customers and partners to use hardware of their choice, according to ZDNet. Azure Stack aims to deliver software, hardware, support and services in a single package, running in the customer’s data center. The platform will enable customers to access cloud services, yet retain control of their infrastructure. Microsoft called this “true cloud agility”. The tech giant said it was already collaborating with software companies to develop the platform by bringing their applications from Azure to the Azure Stack. These include Bitnami, Chef, Docker, Mesosphere, Red Hat, SaltStack and SUSE. Azure Stack was launched in technical preview in February, following the reveal at the Ignite Conference in Chicago in May 2015. A second technical preview of the product is expected later in 2016. “Our ultimate goal is to facilitate the creation of an expanding inventory of applications and solutions that customers and partners can use, invest in and build with the confidence their investments will work in any Azure or Azure Stack cloud,” Jewett explained. The company said customers already using its Cloud Platform System (CPS) software stack and Windows Azure Pack will be able to use these systems alongside Azure Stack. It added that such customers should consider CPS as a stepping stone to the upcoming hybrid service. Microsoft also revealed that Windows Server 2016 and System Center 2016 will launch at the Ignite conference in September.